Home /10 Cosy Blankets So You Don´t Have To Leave The House! 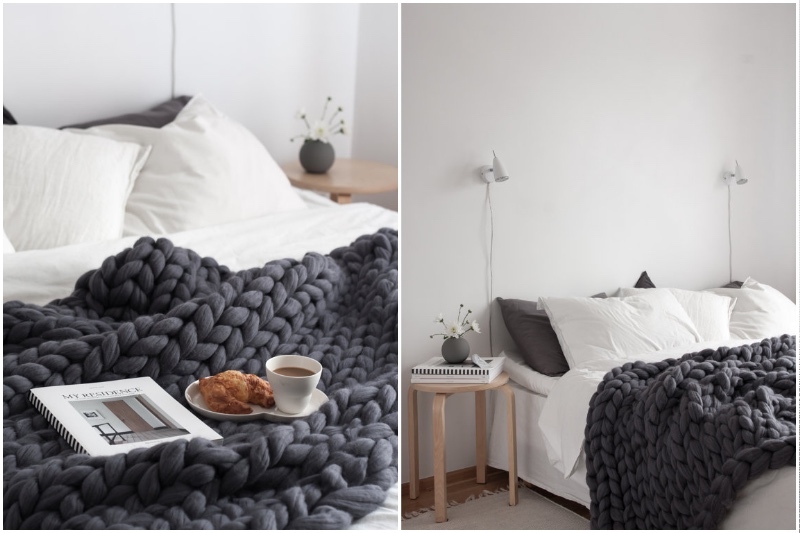 10 Cosy Blankets So You Don´t Have To Leave The House! It’s winter, which means most of the time we have absolutely no desire to go out and spend time in the freezing cold. Some might say “oh whatever it’s just another season, this happens every year”. But we’re on your side. Winters aren’t that great and if all you want to do is stay home, watch Netflix, drink hot cocoa and snuggle up in a warm blanket – we support you. In fact, we even found some pretty cosy blankets you might want to take a look at. 1. 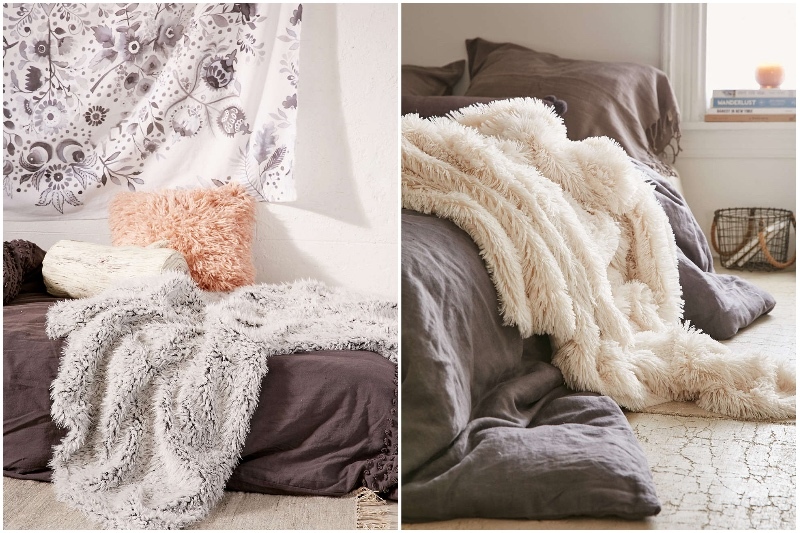 Faux Fur Throw from Urban Outfitters. It’s soft, it’s fluffy and it will definitely make you feel super cosy. As an added bonus, it’s guaranteed to make your room look very chic. 2.This massive chunky knit blanket from merino wool will not only look hella impressive and stylish, but is also sure to keep you toasty throughout the coldest days of the year.